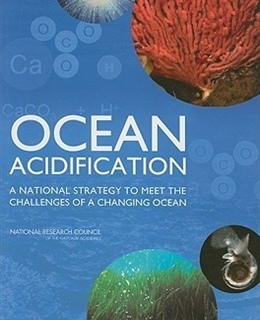 The mission of the NOAA Ocean Acidification Program (OAP) is to better prepare society to respond to changing ocean conditions and resources by expanding understanding of ocean acidification, through interdisciplinary partnerships, nationally and internationally. 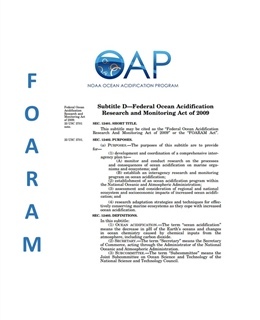 The NOAA Ocean Acidification Program (OAP) was established in May 2011, by the Federal Ocean Acidification Research and Monitoring (FOARAM; 33 U.S.C. Chapter 50, Sec. 3701-3708) Act. 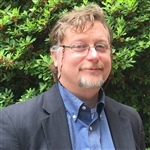 The OAP pursues science to improve our understanding of how (and how fast) the chemistry of the ocean is changing, how variable that change is by region, and what impacts these changes are having on marine life, people, and the local, regional, and national economies. 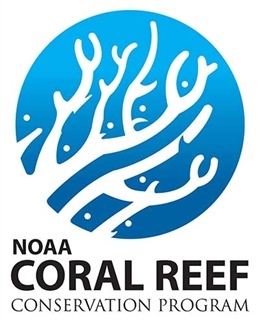 In support of NOAA’s mission to understand changes in the world’s oceans, share that knowledge, and conserve coastal and marine ecosystems, the OAP plays an integral role in maintaining long-term ocean acidification monitoring; conducting research designed to to understand marine ecosystems sensitivity to acidification; promoting relevant educational opportunities; engaging in national public outreach activities related to ocean acidification and its impacts; and coordinating activities with other agencies and appropriate international ocean science bodies. 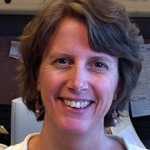 As part of its responsibilities, the OAP provides grants for critical research projects that explore the effects on marine organisms, ecosystems and the socioeconomic impacts that can lead to potential adaptive strategies. 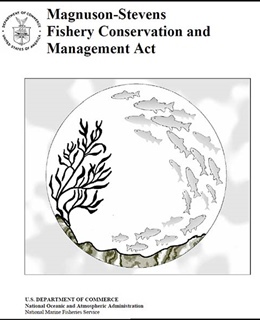 Understanding the exposure of the nation’s living marine resources such as shellfish and corals to changing ocean chemistry is a primary goal for the NOAA OAP. A number of NOAA National Marine Fisheries Service Science Centers have state-of-the-art experimental facilities to study the response of marine organisms to the chemistry conditions expected with ocean acidification. Education and outreach are vital to improving the public's awareness and understanding of ocean acidification. How can we adapt to our changing ocean? 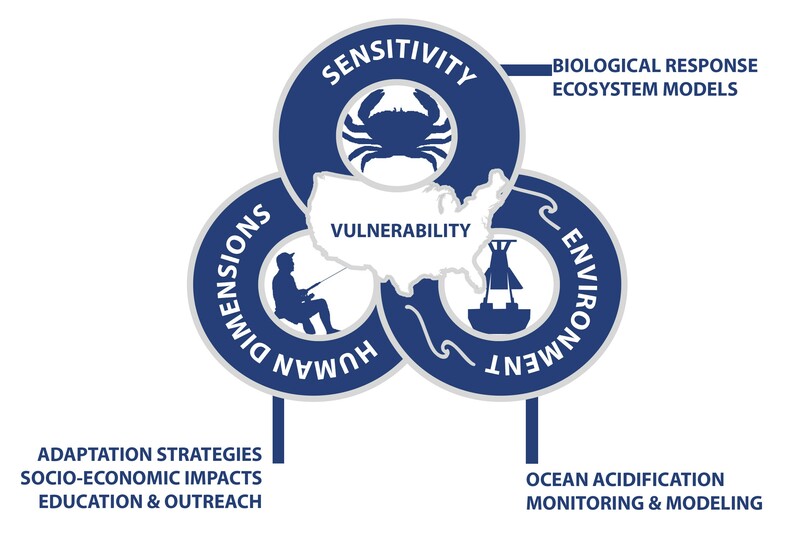 The NOAA Ocean Acidification Program (OAP) is working to build knowledge about how to adapt to the consequences of ocean acidification (OA) and responsibly manage marine ecosystems as acidification occurs. 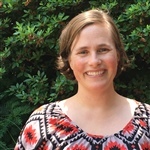 NOAA Ocean Acidification Program (OAP) scientists collect a variety of data to understand changing ocean chemistry and its impacts on marine organisms and ecosystems. 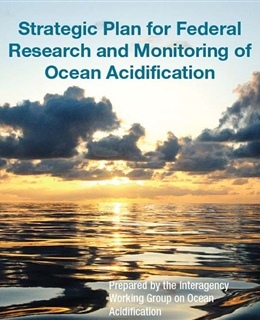 The National Centers for Environmental Information (NCEI) serves as the NOAA Ocean Acidification data management focal point through its Ocean Acidification Data Stewardship (OADS) project. 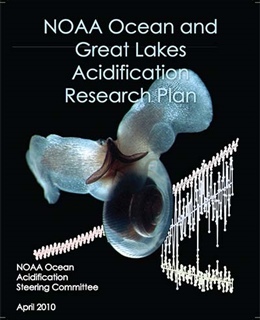 Ocean acidification (OA) data will be archived at and available from an ocean acidification data stewardship system at NCEI. 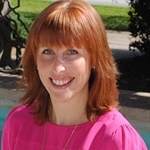 Access our data page.